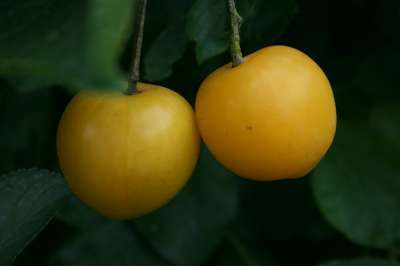 Yellow fruits with red dots on the sunny side. This variety insists on a sheltered position and excels against a wall. A very worthwhile variety with delicious, slightly apricot flavoured fruits. Ideal pollinators: Denniston Superb, Warwickshire Drooper, Victoria etc.